Cranbrook Insurance Company is a wholly owned subsidiary of USF Insurance Company, a company founded in 1843. Prior to January 2009, Cranbrook was called Victoria Insurance Company. Why the name changed was not explained. Enter your zip code below and get your free online health insurance quotes today. Cranbrook is not a health insurance company. Instead, this is a property and casualty insurance company in Farmington Hills, Michigan. Both Cranbrook and their parent company USF are subsidiaries of Kaufman Insurance Group, which is a health insurance company; however, neither Cranbrook nor USF offer health insurance products. Cranbrook does not have their own website, which means that there is a considerable lack of information to be found about this company. Cranbrook does have a presence on A.M. Best, which is a premier financial rating company, and carries a financial rating of A, which is an excellent rating. A.M. Best does its best to keep up with websites for each company that it ranks and the website associated with Cranbrookis the website for Cranbrook’s parent company. A search online revealed that there is not a website directly related to Cranbrook. The company is licensed to sell insurance products in 32 states across the US. Cranbrook uses independent agents to sell their insurance products. The problem that you are going to face is that they do not provide any information regarding how to find an agent on the USF website. What’s more, they do not provide any information about which states specifically Cranbrook’s products are available in, that means that you are going to have to find out for yourself. You can search around with local agents and find out if there is one in your area that offers Cranbrook Insurance or you can hop onto your states Department of Insurance website. Most of these websites allow you to search for companies by name, which means you can quickly find out if Cranbrook is licensed to sell in your state. Another alternative is that you can call USF directly and inquire about their availability and where to find an agent in your area as well. There are two options for reporting a claim for Cranbrook. The first option is to speak with your agent or broker and request that they help you to file a claim. The benefit to this is that you are dealing with someone you know and you can have all of your questions about your claim answered right on the spot. There is no indication of how long it will take to process a claim once it has been filed. The company’s strong financial rating suggests that this is a company that has no difficulty paying their claims, but there is no indication of how detailed the company gets when it comes to investigating a claim. There is not much information in the way of careers for Cranbrook. There is currently one position open and that is for a commercial underwriter. The requirements for this position are an associate’s degree, computer skills, and experience in the insurance industry. The company does not provide a list of any of the benefits available to their employees. There is no quote tool access on the website for you to get a quote through. This is understandable considering that the company has a major focus on commercial insurance and there are different, more in depth, standards for commercial lines of insurance than there are for personal lines of insurance. In addition, Cranbrook does not offer health insurance options, which means that even if the company sold personal insurance, they would not be offering the type of insurance that you are looking for. 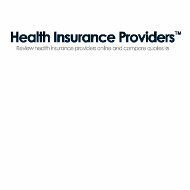 If you are looking for personal health insurance, enter your zip code below and get your free health insurance quotes right now!